Concrete blocks are a building material that is quite widely used in the construction of the walls of both residential houses and country houses and other outbuildings. In this hollow material, the remnants of different industries are used as filler, or, more simply, slag, which has excellent characteristics for excellent thermal insulation of walls. This is the main reason why slag stones today are very often used in household construction as a reliable and repeatedly tested insulation. You can purchase such blocks , but there is an opportunity to make them yourself. 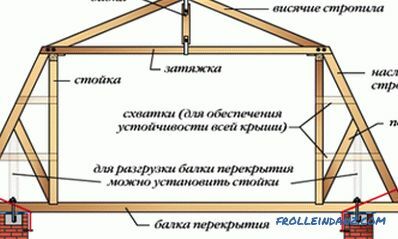 To do this, make a form in which this product will be produced. The form can be a standard size, but at the request of a person you can create it with individual parameters. As a rule, if you need more or less fast production, one form will not be enough. If we imagine a situation, then it will be necessary to pour only one cinder block and then wait a certain time, at best, a couple of hours until it grabs. That is, the performance in one day will be extremely small and it may take several months to manufacture the required number of blocks! But this problem can be avoided by making several dozen identical forms. What is needed for this? You can make wooden forms that will consist of side walls and the bottom, you can also make internal formwork of a round or square look for internal voids. As the experience of experts shows, it is best to make square voids - then a large amount of concrete is saved. 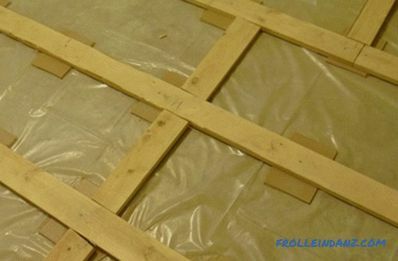 When making a timbering of wood, you should choose a good planed tree, otherwise problems when removing the block cannot be avoided when it starts to cling to the knots and unevenness. Concrete must be made with a sufficient degree of fluidity so that it sits down well, and then vibrate, for example, by lightly tapping the walls with a hammer. 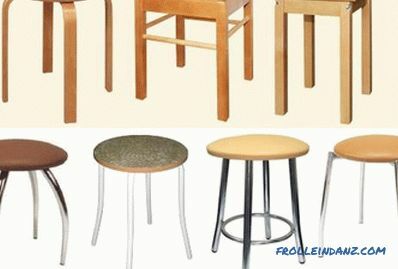 A good option is to use metal forms. However, here you need to use a welding machine, as well as the ability to weld structures made of metal exactly and firmly. 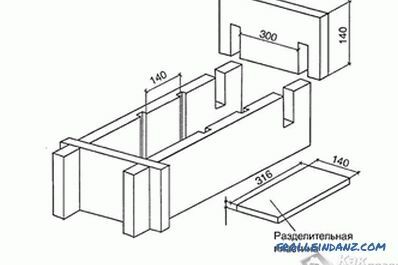 To do this, you can make a frame by welding together 4 walls and the bottom, and inside you can weld pipes or squares. 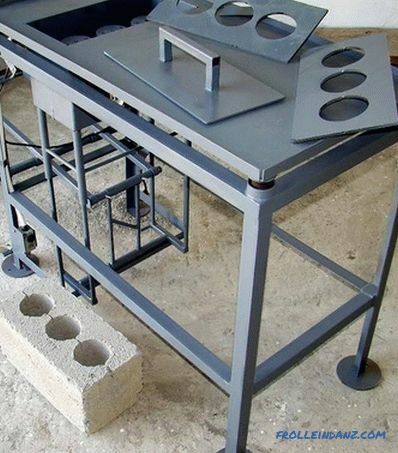 Such forms will last a very long time, but their production will be expensive because of the cost of the metal itself, it is also irrational in the manufacture of a small amount of cinder blocks. There is one more not less an interesting way to produce cinder blocks. It has the advantages of greater efficiency, but it requires some equipment. Of course, it will not be free and you will have to put some amount of funds. If we take the minimum - we need a concrete mixer, even a small, and vibrating table will do. In this case, no longer need to produce a bunch of forms that will take up a lot of space. Forms are made of metal on the sample. By the forms will definitely need to weld a comfortable pen. 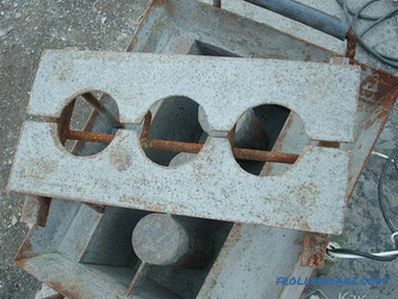 In the manufacture of blocks in this way, the concrete must be made sufficiently thick, the slurry will not work. After pouring into the mold, immediately put the product on the vibrating table, where the concrete will be compacted for a minute. We decide on a place of storage, after the end of the process we carry a block, taking the form by the handles. After gently and slowly, we turn over the form and, knocking on it, carefully pull out the cinder block. Paraphrasing the saying, "the first block is lumpy", that is, sometimes you can see that it is overwhelmed or, even worse, begins to fall apart when extracted. So, we change the degree of density - either it is weak, or the mixture is excessively dense. What degree of density to choose, in fact, easy to understand - after making a couple of blocks, everything will become clear. 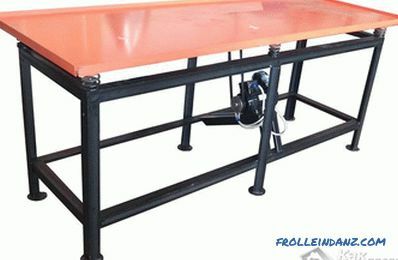 The vibrating table can be made and himself, having the smallest skills. For its manufacture you need to purchase a sheet of metal in the form of a square with a side of about a meter. You will also need a few kilowatt electric motor, about 2, and good springs. They can be found among the parts, removed from the dismantling of a car that has become unusable, or an old motorcycle. Springs are welded to the corners of the steel sheet, and the engine is bolted to the center of the structure or by welding. 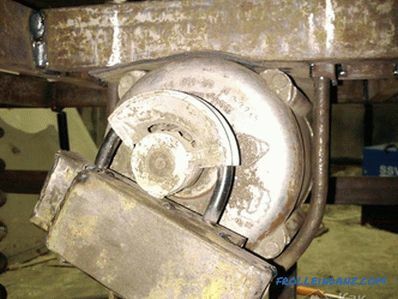 It is necessary to put a pulley on the shaft, preferably with a center of gravity, having an offset. After that, turn the resulting machine, setting it on a secure basis and properly securing. 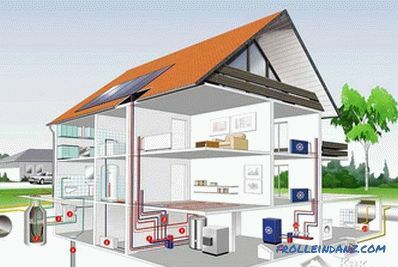 Due consideration should be given to the electrical cable, and more specifically, to how it is connected.The cable must not have places with open insulation and other damage. The metal must be reliably grounded.